$10 Sigma Gift Certificate Giveaway - 2 Winners - Open Worldwide | Sahrish Adeel - Malaysia based Pakistani Beauty & Lifestyle Blogger! 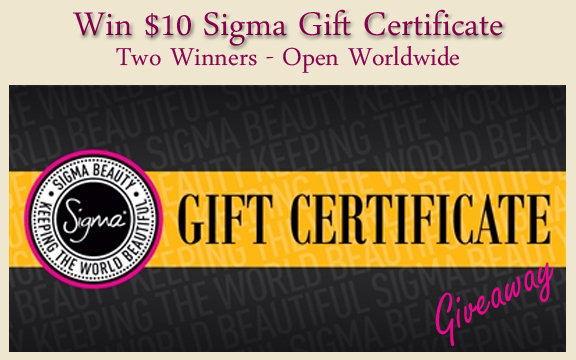 Two lucky winners can win a $10 Sigma Gift Certificate. This giveaway is open worldwide. Rules are pretty simple but please note, in this Rafflecopter form please provide necessary information where you are asked to, do not leave that section blank. If you will do so, your entry will not be counted.